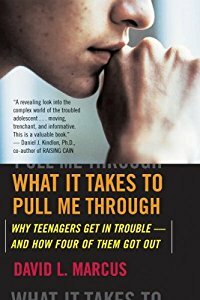 In hopes of opening the “black box” of the teenage psyche, I decided to write about kids who’d gotten in trouble and who, along with their parents, were getting help. I wanted to look mostly at children of the middle-class, but I hoped for a broad sample, from urban working-class kids to teens from bustling suburbs where families appear to have it all. Following students at a school that offers intensive counseling seemed the best way to explore the welter of challenges facing today’s teenagers — from ADHD, to videogame addiction, to depression, to drug abuse. Many psychologists recommended the Academy at Swift River in western Massachusetts. Bianca awoke with a start, trying to remember what day it was. Sunday, the second day of summer vacation. “I don’t want to go to church today,” she mumbled. She squinted at the light coming from the hall. Her father was framed in the doorway. Behind him stood two husky strangers, a man and a woman. She glanced at the digital clock: four in the morning. It was still dark outside. “Who the hell are these people?” she said. “Listen, Bianca,” her father said. “You have to go to . . .” His voice drifted off. The man jabbed a finger at the phone, disconnecting the call. “Okay, that’s enough.” The woman hovered by Bianca’s room, ordering her to get dressed. Bianca’s father retreated to the kitchen table. Bianca asked for a minute to change. She knew she needed half that time to slide out of the window, squeeze through a gap in the hedge outside, and disappear. She’d done it many times while her father slept. “Don’t close the door all the way,” the woman said. “I want privacy!” Bianca yelled, trying to slam the door. The woman wedged her foot in. The woman called out that Bianca needed a hairbrush, a toothbrush, and a portable CD player. Nothing more. Untangle the mystery of your teenager’s mind!